In March, the U.S. government suddenly announced tariffs on $60 billion worth of Chinese exports to the U.S. and threatened even more. China has now retaliated with tariffs of its own against certain U.S. exports. Whatever the reasoning for these tariffs, the sudden imposition seriously disrupts the working lives of those involved in producing those goods in both China and the U.S. and those using the commodities either as a means of further production or articles of consumption. Modern industrial mass production cannot simply be turned on or off with the flick of a switch without causing widespread pain. This is no way to conduct economic relations among the peoples of the world. To underscore the shallowness of these measures, the U.S. government on March 23, made what it called a “friendly suggestion” to China that if it bought more liquefied natural gas (LNG) from the U.S., it could avoid these and other tariffs. The private energy cartels centred in the U.S. are in the midst of unprecedented expansion due to the development of new methods of production involving fracking, which unlocks hitherto unavailable quantities of oil and natural gas. However, markets in China have already committed to long-term contracts to purchase much cheaper pipeline gas and oil from producers in Asia, including Russia. The U.S. energy producers demand those contracts be broken, otherwise a trade war on other commodities will deepen. In trade with Canada, the U.S. President linked his across the board tariffs on steel and aluminum with the current negotiations for a North American Free Trade Agreement. 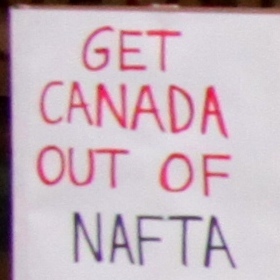 He said on March 5 that Canada and Mexico would gain permanent exemption only if they signed a new NAFTA agreement acceptable to the U.S. Regarding energy, China is not the only target for the developing surplus of oil and gas from U.S. producers. Europe is in their sights but again the main competitor is Russia and its vast network of pipelines including the newest project called Nord Stream 2, the twinning of an existing gas pipeline to the European Union under the Baltic Sea. The U.S. is putting up roadblocks to its construction, threatening sanctions against any company involved in financing or constructing the Nord Stream 2 project. The U.S. promises punitive measures against all those involved in the project using provisions in a new law passed last summer called Countering America’s Adversaries Through Sanctions Act(CAATSA). The pipeline from Russia to Germany under the Baltic Sea has already gained approval from the German state. The Russian share of the European gas market is around 34 per cent, according to Gazprom. Russia has repeatedly said the U.S. is hindering the project because it wants Europe to buy shipped U.S. LNG, which is 50 per cent more expensive than Russian piped gas. The economic change pushing aggressive U.S. actions to export oil and natural gas is the shale fracking explosion of U.S. mainland production. U.S. gross energy exports rose 27 per cent from 2016 to 2017, reaching the highest level of annual U.S. energy exports on record. The United States became a net exporter of petroleum products in 2011 and natural gas in 2017. In 2017, the United States was also a net exporter of coal, coal coke, petroleum products and biomass, remaining amongst energy commodities a net importer of only crude oil. Total U.S. energy production increased year over year in 2017, in renewable energy (8%), coal (6%), natural gas plant liquids (6%), crude oil (5%), and natural gas (1%), while total U.S. energy consumption was virtually unchanged from 2016.
International trade should exist as a positive experience in the lives of all humanity for the peoples’ mutual benefit and the economic development of all countries, big or small, and with or without differing outlooks and political forms and processes. Instead, the opposite is occurring with international trade a hotbed of exploitation, rancour, intrigue, big power extortion and threats of war. Working people should think about and discuss this situation carefully as their lives are now seriously disrupted by the consequences of international trade that does not operate in their favour. Negative examples are many. 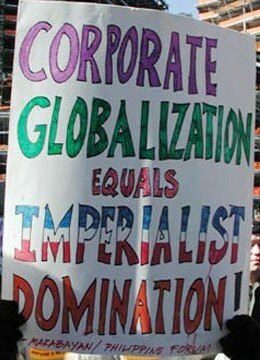 U.S. imperialism’s use of sanctions and boycotts against others is well documented. The U.S. has long used its control of international financial, trade, and other institutions and the ominous presence of its enormous military to cripple the economies and lives of the peoples of the world. 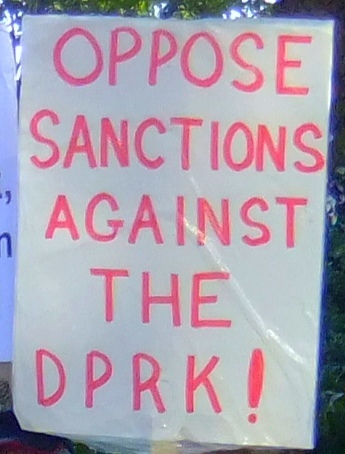 Cuba and the DPRK have suffered U.S. economic sanctions and blockades for decades. These actions disrupting the trade of others are considered war crimes by the vast majority of the world’s peoples.